Update: The Sheffield podcast studio is now open! Book your recording time, now (free for a limited time to try it!). Hot on the heels of the recent announcement that our technology business is now Rebel Base Media, which owns the Podcast Websites, Captivate.fm and Podcast Success Academy as well as being the same team developing Poductivity Ltd, we’re delighted to announce the development of our very first physical podcast recording studio, here in Sheffield, United Kingdom. We have been working hard behind the scenes in partnership with Sheffield Technology Parks to build out a dedicated recording space right here in the heart of Britain that will allow independents, agencies and more to record their own shows in a high-quality, acoustically stable environment at a fair cost. This is part of our initiative to help the U.K. podcasting industry grow and to support independent creators with a range of services. With space for up to four podcasters using state-of-the-art podcasting equipment, Rebel Base Studios will open in Q1 2019 and will be supported by our other Rebel Base Media brands & technical teams to ensure that podcasters have a full suite of tools available to them to launch & grow their show out of the U.K.
Run by a dedicated U.K. arm of the Rebel Base Media team to ensure quality of service across the whole business and with the layout designed by James Marriott, radio veteran and studio specialist, Rebel Base Studios will add further production services to the studio offering throughout 2019, in partnership with production specialists across the world, to offer a complete concept and production service for creatives looking for a one-stop, turnkey production platform. 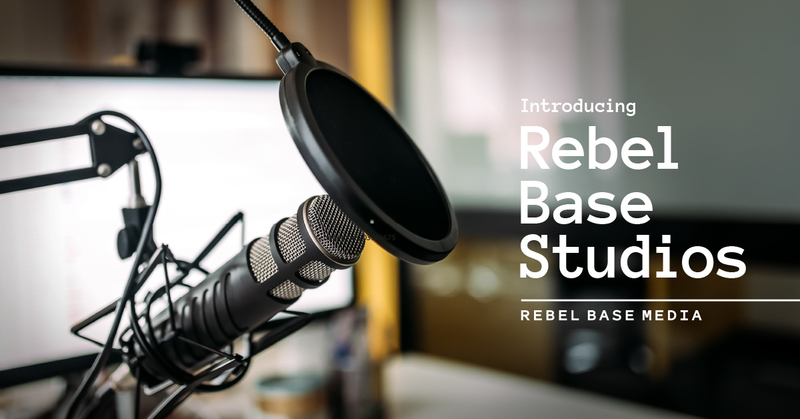 Rebel Base Media will also be providing easy-access opportunities for individuals, agencies and brands to try out podcasting in a supportive, easy-to-use podcast studio in Sheffield. For all press enquiries please contact Mark Asquith on mark at RebelBaseStudios dot com.